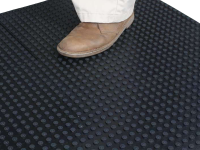 Includes key-lock to prevent slippage and assist with installation alignment. 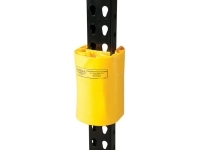 Eagle's mini column protectors offer affordable protection from forklift and tow motor damage for warehouse and factory columns and beams, fire extinguishers, and other equipment. 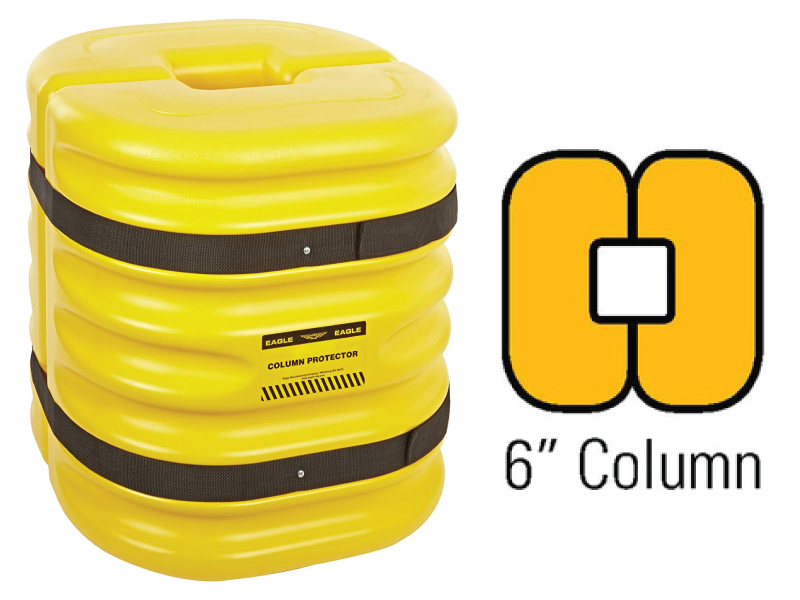 These blow-molded 100% high density polyethylene protectors fit 6", 8", 10" and 12" square columns. 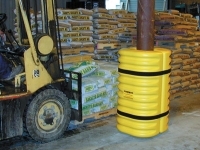 No tools are required for installation, the two halves attach with easy-to-install black straps (included). 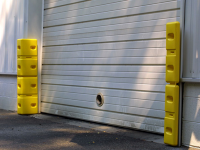 These column protectors have corrugated ribs on the outside and cushion on the inside. 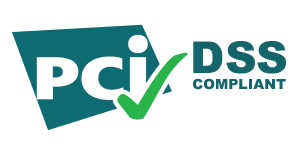 They feature key-lock shapes to prvent slippage and assist the installation process.